to achieve the long, beautiful, healthy hair I've always desired. The rules? No dyeing, teasing, blow drying or frying. Through BBB, I'm even helping raise over $1,500 for local cancer patients! Last month, I almost made a huge mistake and came so close to quitting. Now, 6 months and 8 days later, I can't believe I'm over half way! And I will NOT be quitting! Home of all things hair—minus the hairspray, teasing, dyeing and frying. 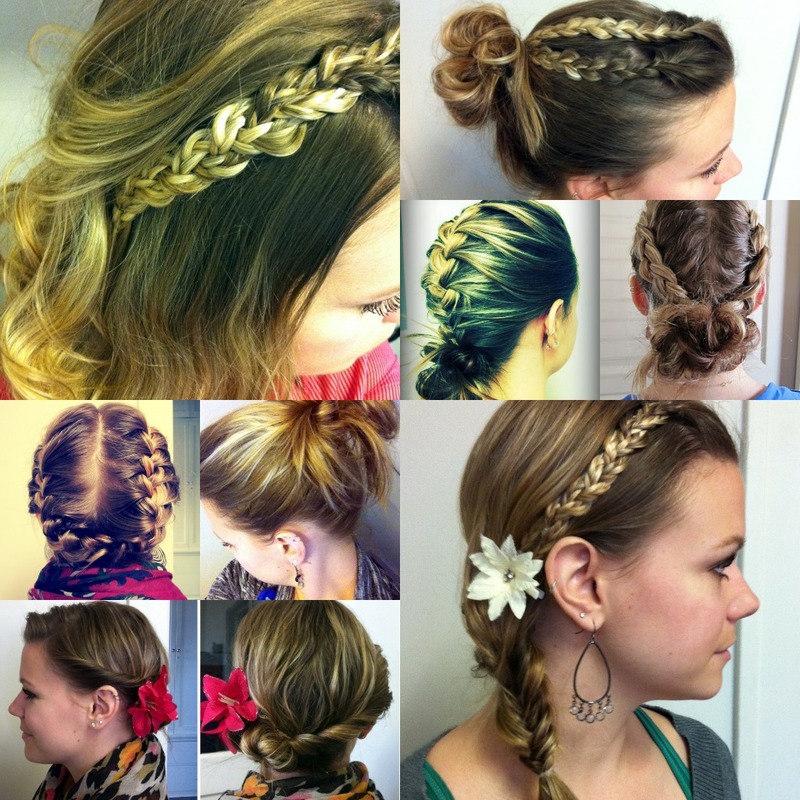 those are ALL AWESOME looking hair styles! So glad you decided to hang in there! :) I think you should do a tutorial on the fish tail braid ;) ;) it eludes me, but I think with some guidance I could do it, haha! Go Aunie! This is so amazing! And it's so good to the environment! (You know I love me some eco-friendly stuff!) Over 6 months! You go, girl! What a neat idea! Your hair looks great!! 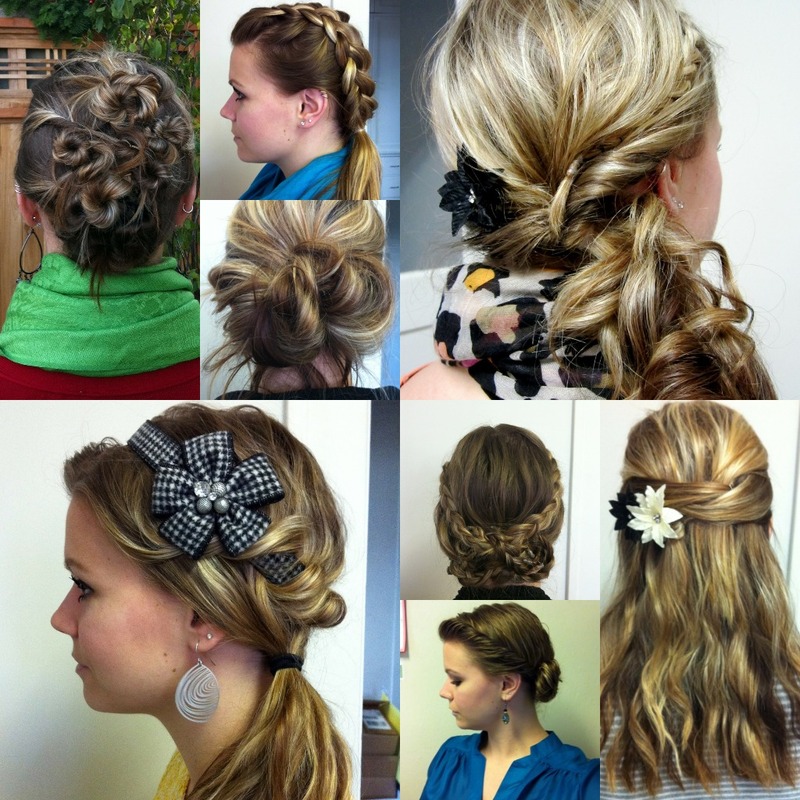 Love all these different hair styles! You are talented! I love all those hair styles. So fun, I get so tired of wearing my hair the same but can never think of anything fun to do with it. I love all those styles! And I love the idea behind BBB. I have too much grey to give up dying my hair!! So awesome that you raised so much for a good cause! Love all the hair styles. I'm loving all of those hairstyles. Too bad I got a haircut, I can't even attempt those! Ahh, I love the top frame, the bottom right picture. LOVE it. They're all cute though! thats right! DONT QUIT! :) you can do it! :) Your hair is beautiful... and such a wonderful cause! You are rocking it! No blow drying?! You are awesome! If I didn't blow dry my hair it would be a hot mess. Your's looks so smooth and shiny! So glad you've decided to keep going. But I would have totally understood if you needed to stop. I'm glad you didn't quit! That's awesome how much you've fundraised. What great hairstyles! Good for you for doing this - I can't even imagine how hard it is! I wish I could do hair like you do! Every time I try it ends up looking the same as every other time, and never like your photos, haha. But at least you're rocking it!